At Dental Health & Wellness of Long Island, we take traditional dentistry to the next level of care by providing services that improve your overall health. As well as providing world class cosmetic dentistry, we are continually involved with education and learning to advance our training for the diagnosis, treatment, and even prevention of sleep and airway problems. Snoring and sleep apnea are frequently the root cause of most medical problems. A healthy mouth and body are the essence of wellness dentistry, and we are constantly learning new ways to help you improve your overall health and maintain a winning smile. Dr. Steven Lamberg has a keen awareness of how oral conditions affect the whole body, and since 1984 he has been providing personalized supportive care to his patients. 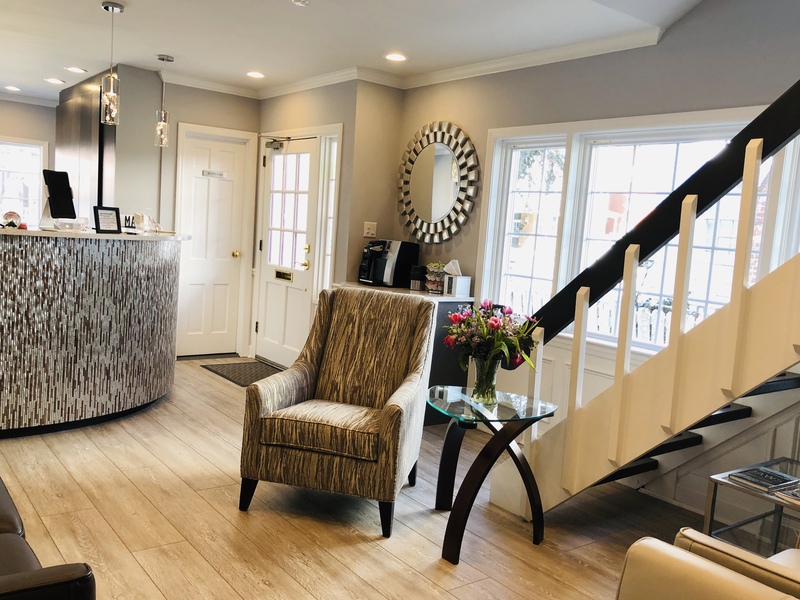 We are conveniently located on the north shore of Long Island, in the historic waterfront village of Northport, NY, and care for many patients from Huntington as well as the surrounding areas. Our office is small enough to provide personalized, individual attention, yet large enough to provide all the most up to date equipment and state-of-the-art technologies. Dr. Lamberg and the entire team at Dental Health & Wellness of Long Island strive to create a supportive atmosphere where you can feel comfortable during your treatments and routine visits. If you are dissatisfied with your smile, cosmetic dentistry can enhance the appearance of your teeth for an overall more aesthetic look. At Dental Health & Wellness of Long Island, we go above and beyond what a typical dentist can do. Our Northport, NY, practice provides a range of services intended to improve your overall health and wellbeing, rather than just the appearance of your smile. Voted Best Sleep Care Center on Long Island, Dr. Steven Lamberg began practicing in 1979. His wellness dentistry can help you and your family achieve better health through comprehensive dental and sleep care. As a dentist who builds connections with other medical professionals, Dr. Lamberg is uniquely qualified to offer treatment that benefits every aspect of your health. From treatment for sleep apnea and snoring to teeth whitening and other cosmetic treatments, Dr. Lamberg provides a full range of dental services that can enhance your overall health and well-being. Dr. Lamberg is a Kois trained doctor and he is currently a Scientific Advisor there. "I’ve been going to Dr Lamberg for years and he’s always given me and my family top notch care. He’s smart, upbeat, and takes the time to talk to you and get to know you... You can tell he loves what he does. The office is clean and bright and the people that work with him are super friendly and helpful. Bravo!"